Good morning. Today is Day 11 of Liitd 12 Days of Christmas and random prize draws. To be entered in our random prize draws, comment here on the blog posts each day and like our Facebook page and/or Instagram posts. Tag us - #loveisinthedetailsdotca - on Facebook and/or Instagram with your Christmas creativity over these days to be entered as well. Winners will be announced randomly throughout these 12 days. Is everyone ready for Christmas? I guess that’s a bit of a loaded question. 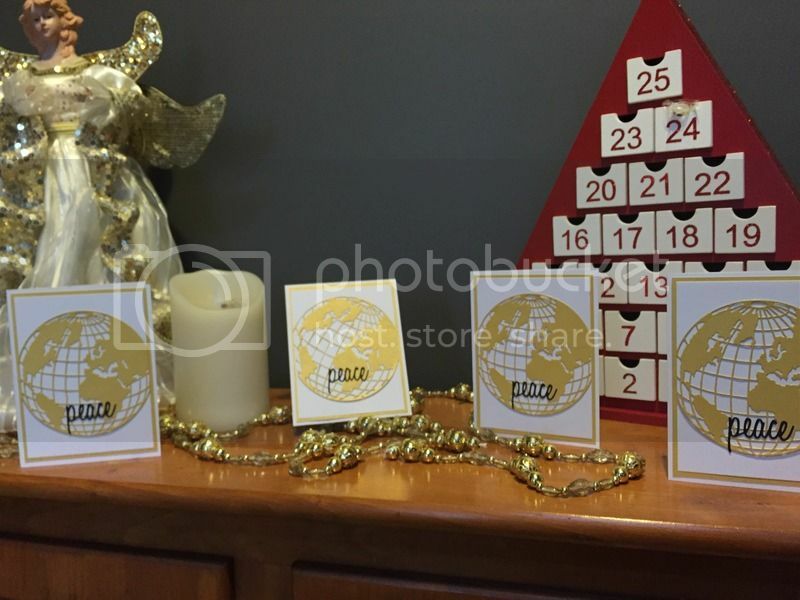 I want to show you a group of clean and simple Christmas cards. I also wanted to use a die that isn’t a traditional Christmas die…. voila! 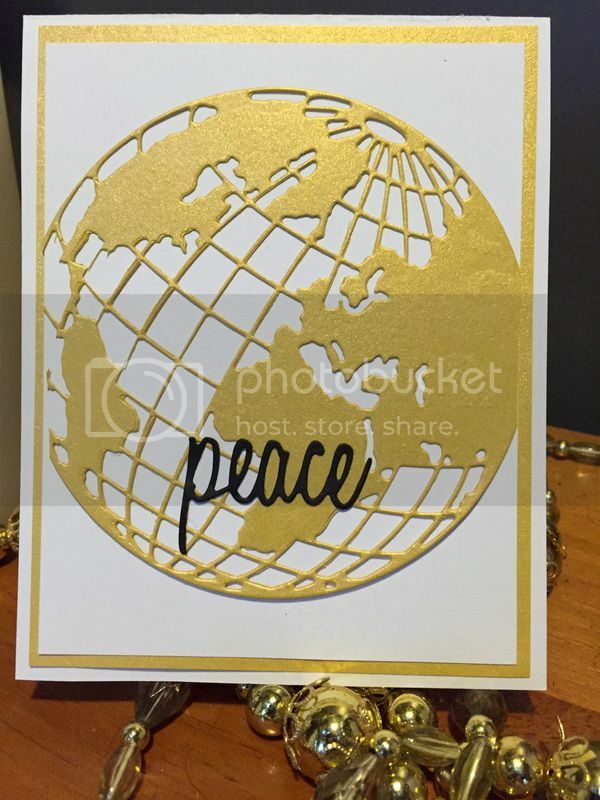 I grabbed the Tim Holtz Sizzix Globe thinlet die and cut some gold pearl paper. I found this cut so much better when I used the precision base plate and the Prima Tool ‘n one. It has a brush that you run over your die cut while it’s still in the die and it frees all the loose little bits. Both the precision base plate and the tool ‘n one are great tools to have if you are cutting many dies. They will make your life so much easier. I cut the word peace from black card stock and the Tim Holtz festive words dies. (again, thanks go to the tool ‘n one for getting the words out of the die in one piece) The globe had to be cut down just a little bit to fit the layer of paper. I found it easiest to mount the globe on the layer and then cut it to fit the base layer of paper. (exact cuts that way) I think this would work beautifully with the copper metallic paper in the store as well. This is a beautiful clean and simple card that holds great sentiment. My wish this holiday season is that we all find peace on earth.